DENVER – If you’re hoping to get in one more round of golf at City Park Golf Course before it closes, you'd better act quickly. The course will close to the public on Tuesday, October 31, so that construction can begin on a major redesign project. The golf course is being reconfigured to make room for a stormwater detention pond as part of the Platte to Park Hill drainage project , which aims to reduce the risk of flooding in the area. The Denver City Council in August signed off on a nearly $45 million contract with Saunders Construction for golf course improvements and renovations. Another contract worth around $7.6 million is related to stormwater work, and a third contract includes additional drainage improvements. When the course reopens in 2019, it will still have 18 holes but there will be a new clubhouse in a new location. Plans also call for the removal of 261 trees on the golf course, but hundreds more will be planted for a net gain of 500 trees when it’s all said and done, according to city officials. Perimeter trees and some older stands within the course will be preserved, city documents state. The golf course redesign is moving forward despite controversy and legal challenges. The drainage project is the subject of a lawsuit that went to trial in August, questioning whether the park can be used for stormwater detention. Criticism of the project often centers around a related project to lower and widen a portion of I-70 in the Elyria-Swansea area . That project, dubbed Central 70, is the subject of several other lawsuits from neighbor groups and others who say it will negatively affect the health and well-being of residents in one of Denver's most disadvantaged areas. While the stormwater system will certainly help with drainage on I-70, city officials said last year that they planned to continue with the golf course redesign even if the Central 70 project didn’t move forward. 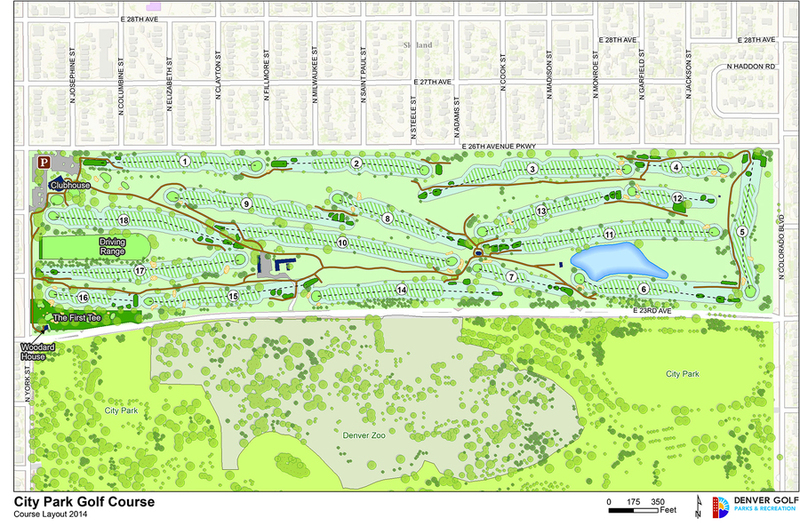 Learn more about the golf course redesign project at CPGCRedesign.org .